Whatever you may have grown up calling them – matryoshka, babushka or Russian nesting dolls, I think we can all agree that this little family of monochromatic beauties is sublime. 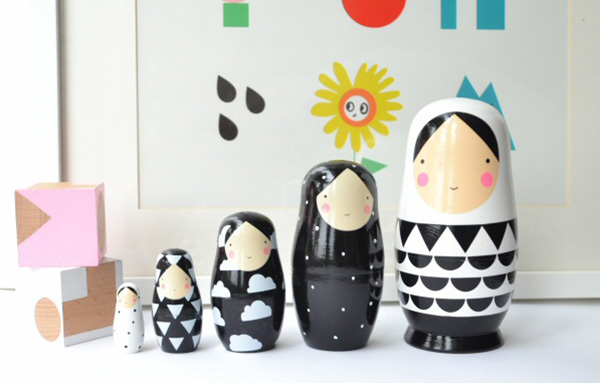 Not strictly just for the children, this Sketch Inc. Monochrome Nesting Dolls set is pretty high on the awesome scale, you’re likely to want to perch them somewhere for all to admire rather than squirrel them away in your little one’s bedroom. This super cute set is made from Chinese hardwood and expertly painted by hand to show off five gorgeous black and white patterns. As a huge fan of anything monochrome, I’ll be pinning this set straight to my daughter’s (roughly translated as my own) Christmas list for sure. 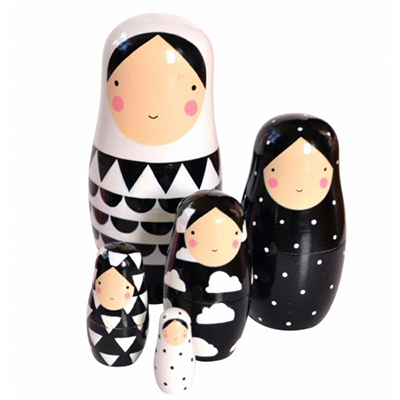 Sketch Inc. Monochrome Nesting Dolls set is available locally from Leo & Bella, priced $39.95.